With its 4 hotels the Chia Laguna offers a fantastic range of accommodation for all the family. Let the Chia Laguna’s Spa pamper you on your fabulous Chia Laguna holiday. The Hotel Chia Village hotel cottage rooms are ideal for a fabulous family Chia Laguna beach holiday at one of the best resorts in Sardinia. Located in Southern Sardinia, the Chia Laguna offers an unforgettably Sardinian beach holiday. The Chia Laguna offers one of the most unspoilt and natural sceneries in Sardinia, with glorious sandy beaches. The Chia Laguna Resort offers a range of accommodation including the family friendly ‘Chia Laguna Village’ which comprises of a cluster of cottages and the fabulous five star ‘Hotel Laguna’. The Chia Laguna Resort offers super accommodation, relaxation, entertainment, sport and wellness. Chia Laguna is quite simply one of the best beach resorts in Sardinia with a gorgeous hotel location. New for this year Pro Days Football Academy with Premier League stars James Beattie , Andrew Johnson & Bobby Zamora. Chia Laguna is located in the Southern Sardinian, “Cagliari” province – this geographical tip proving to be the most popular area of the island. It’s wild stretches of unspoilt coast lines, superb sub-tropical climate and white sandy beaches are just a short flight away and a mere 40 minutes transfer from Cagliari International Airport. The Chia Laguna offers luxury facilities within dense dramatic landscapes – epitomising the deeply vivid Mediterranean island of Sardinia. Offering 5* hotels and 4* family cottage rooms there is something to suit every budget and fulfil every holiday dream. 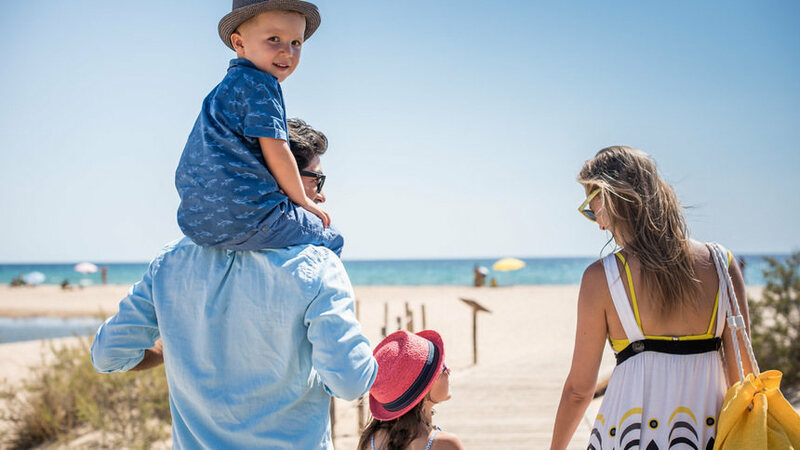 From the very best Italian cuisine, a world class Spa and exclusive shops and bars to the amazing Chia Village with fun children’s clubs, entertainment and your very own train to the beach – there really is something for everyone. This website which is dedicated to the Chia Laguna and is run by the Chia Laguna specialist arm of Design Holidays. Design Holidays are a Chia Laguna specialist, and a preferred travel partner for the Chia Laguna. This means that we are able to offer Chia Laguna holidays at the best prices guaranteed. To book your Chia Laguna Holiday or to talk to one of our dedicated Chia Laguna booking team then then call 01444 87 22 00. The captivating Island of Sardinia has long enticed sun-worshipping, broadly European clientele to its stunning coastlines. Chia Laguna resides sympathetically within the simply stunning, unspoilt coastline of Southern Sardinia, in the capital Province of Cagliari. Less than one hour from the airport, each of the resort’s accommodation options harbour their very own private beach. The white sands of Chia laguna and the surrounding coastline are heralded as amongst the very best in the world. The sanctuary of the Chia Laguna manages to harness an abundance of facilities with a level of exclusivity and eminent luxury that is only matched by the location; a sub-tropical slice of heaven on Earth. Just 700km away lie Chia Bay and stretches of idyllic beaches and vivid, flamingo filled lagoons. Chia Laguna private beaches are unsurpassed, with geological points of interest apparent in the ancient rock formations, and the resort’s panoramic terraces look out over a lagoon full of pink flamingoes, an awesome sight to behold as the sun sets for another heavenly surreal day. With numerous caves and coves and perfectly formed fjords perfect for snorkelers and diving fanatics, Chia Laguna has its own diving school, and can teach and/or provide the underwater explorer with all they might need to see and swim with the island’s variety of sea-life. The Chia Laguna has been awarded the Mediterranean’s Leading Family Resort on several occasions. With incredibly high levels of competition in the luxury resort industry, winning this award is an annual quest for the Chia Laguna Resort Team in their search for the highest of customer service. Particular emphasis for the discerning guest who enjoy sports and fitness may see their perfect vacation realised with use of our gymnasium, tennis courts, 18-hole pitch and putt course, and for wellness, a spa and beauty centre is situated on site with both traditional Sardinian and conventional treatments available. For families with children or teenagers and corporate parties, there are activities and clubs aplenty; sports upon both land and sea, horse riding, cycling, scuba diving, tennis, jet skiing and Kayaking. Chia Laguna provides a perfect base in Southern Sardinia to hire a car for your stay. Great deals can be found online with a little research however our staff at the Chia Laguna resort can readily organise a shuttle to local places if interest, taxis or hire car for exploration days. Whether for a couple of days or an entire trip, the wildlife, caves, ancient remain and incredible beaches provide an endless tome explore, educate and inspire families with children or couples with a sense of adventure! The Chia Laguna offers a range of facilities within this perfect Sardinian family beach holiday resort. Chia Laguna offers clients 4 swimming pools, five bars and 7 restaurants serving various speciality cuisines. The Chia Laguna also offers a wide range of sports facilities including a five-a-side football pitch, tennis courts, 18-hole pitch and putt, gymnasium and a beauty centre. Accommodation at Chia Laguna is chic and functional, with the option of two stunning hotels or a family orientated cottage in the Chia Village area. As with all Design Holiday resorts, the aim to tailor one’s holiday to the highest degree of individuality by perfectionist staff is quite typical. No detail is overlooked, and the aim to provide a high calibre of comfort to make all guests feel at ease is paramount. Hotel Oasi – The exclusive, 34-room Hotel Oasi is the newest addition to the complex, again offering a plush range of super modern, suite-like accommodation, with superior and garden rooms available. The hotels have their own exclusive swimming pool with distinctive waterfall feature and this serene part of the Chia Laguna resort is available only to Hotel Oasi’s guests. Hotel Baia – This stunning, new hotel is pure unsurpassed modern luxury. The minimalist, pure white interiors compliment the nature inspired woods and wickers, glass and ceramic pops of colour in fantastic comfort with views of the lagoon beyond. Chia Village – Child Friendly, brightly decorated with mosaic tiling and colour pop interiors, the Chia Village is made up of cottages, many with garden rooms and are located within moments to the main restaurants, mini clubs, with the vivacious Piazza deli Ulivri hosting the resort’s main evening entertainment area. Chia Laguna’s village also provides a child-friendly shuttle train to the resort’s private white sand beaches. Cottages at Chia Laguna vary in size, from classic balcony apartments to two-storey mezzanines and family rooms, with options either with a garden with the option of interconnecting rooms, perfect for families of four. The superior and garden rooms easily accommodate a couple with a third person, infant or child, and our partners at Design Holidays make it easy to book to your exact requirements. Finally, the La Pergola Restaurant has also completely changed its looks after undergoing a detailed renovation. With all Chia Laguna’s accommodation options inclusive of half-board dining around the 9 fantastic restaurants. Chia Laguna’s tranquil private beaches are simply stunning, however for the more active, sports-loving guests, the alluring array of endless high quality sports facilities will tempt all sports lovers – whether it’s a casual team match before high sun, to professional athletes taking a well earned break. Our Spa also offers sports massage, concentrating on problem areas and points of bodily tension. Incredible views out to the beguilingly beautiful Chia Bay from our panoramic terrace make your Spa-days ones to cherish. All guests at Chia Laguna can book discounted Golf at the nearby Molas Golf Club, or our experts at Design Holidays can book this in to your initial package. Tuition is offered, too, for all abilities. With 27 Holes of golfing at a golden standard, and less than 15 km away, the Molas Club has been a former venue of the Italian Open, with the best, simply unforgettable, panoramic views of the surrounding seas. The Piazza is home to the children’s mini club, along with a children’s restaurant and pool, especially for them. With British Premier League stars, Andrew Johnson, Bobby Zamora and James Beattie coaching young, football mad hopefuls throughout the summer, young footballing hopefuls can also enrol upon Chia Laguna’s Pro Days Football Academy. Chia Laguna is home to some stunning beaches, and this area of coastline has been voted amongst the most picture-perfect in the world. These white sands and turquoise waters are usually associated with longer, more exotic locations, yet Sardinia is only a short-haul, 2.5 hour flight from the UK. A mere 6km away is the small Sardinian town of Domus de Maria, and dense local forests remain unspoiled, untouched and teeming with rare wildlife. Legmabiente awarded with 5 Blue Sails to acknowledge its pristine, clean beaches, waters and clear respect for the nearby environment. Chia is home to the Basso Sulcis National Park, protecting the wild deer and boar, also boasting a natural breeding habitat for the rare Golden Eagle. With the novelty of bright pink flamingoes flourishing on the lagoon itself, the area is bursting with inspiring surroundings. Chia Laguna is fully equipped and welcomes business and corporate event, meetings and team-building weeks. Chia Laguna also offers state-of-the-art corporate facilities to host events. Recently refurbished, the Chia Conference and Exhibition Centre can cater for up to 830-950 delegates at any one time, and the use of any of the restaurants and spaces can be arranged for any special dinner or hosting event. Chia Laguna also offers state of the art corporate facilities to host events for businesses. Recently refurbished, the Chia Conference and Exhibition Centre can cater for up to 950 delegates at any one time, and the use of any of the restaurants and spaces can be arranged for any special dinner or hosting any type of event. Rates for each Chia Laguna Hotel are listed separately, depending on room option, (Garden/Deluxe/Superior) or Cottages (2/3 Bedroom, Garden or Penthouse) in our purpose designed Village. Most quotes are based on a minimum of seven nights stay in each Hotel depending on availability. Rates for each Hotel option are listed separately, depending on type of room, (‘Garden’/’Deluxe’/’Superior’, etc) or Cottages (2/3 Bedroom, ‘Garden’ or ‘Penthouse’) in our purpose-designed Village. Please call Design Holidays for our Academy Spaces for Pro Days Football, Spa Programmes and Details on Bookable Excursions and/or local Car Hire. With such a wide range of accommodation options, Chia Laguna has many great rooms & offers to suit. Special offers to the Chia Laguna include Half Board & Accommodation. Chia Laguna also rewards returning guests with €300 resort credit. For more detail and to request a quote call our Design Holiday Partners who promise to match any price found elsewhere. 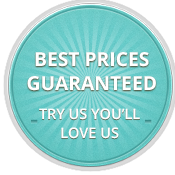 They will also find you the best deal for holidays that entail extra tuition or spa programmes. Please call Design Holidays for tailored advice on 01444 87 22 00. Buses are available throughout the day. Bus number 129 takes approx 90 mins but is only 2€. Expedia.com quotes Cagliari airport/4 days car hire from approx. £100 upwards. Alternatively ask our experts at Design Holidays to arrange a hire car if required; fuel costs sit between 6-9€ from Cagliari Airport to Chia Laguna. Chia Laguna has partnered with Design Holidays to tailor your holiday to exemplary standards – The emphasis upon entertaining all the family is our aim, to make your stay as as close to perfect that reality can be. The stunning, idyllic surroundings are simply captivating, no matter the amenity, activity, bedroom, bar or restaurant. Contact the experts to reserve your place on the Pro Days Football academy, or phone us to help plan a dazzling exodus as activity-packed or as tranquil as you wish. Quite simply, the Chia Laguna resort in Cagliari, Sardinia, should be the trip of a lifetime, and our experts are only a phone call away from making your holiday dreams a vivid reality. To find out about the plethora of deals available and to discuss your exact specifications please call our experts about Chia Laguna at Design Holidays on 01444 87 22 00. Check out is usually at 11am however we can work around your flights – just let us know your requirements on check-out day.